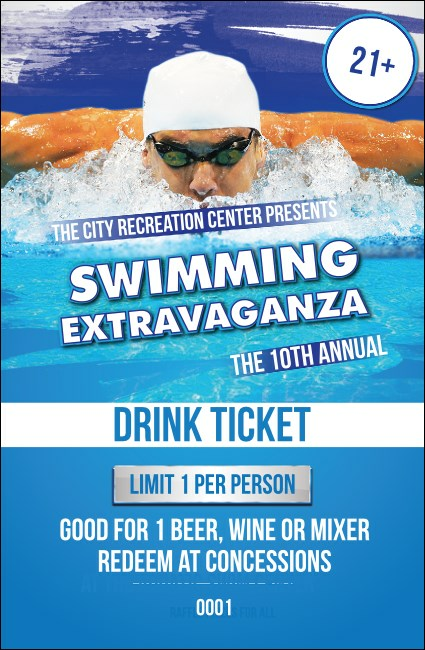 Let your guests dive right in and take the edge off at your event with sporty Swimming Drink Tickets. These incredible tickets feature a realistic picture of a swimmer competing to get his best time yet, and include sequential numbering for security, along with nine lines of unique text for all your event details. TicketPrinting.com helps keep your event above water.